A newly released article reveals many of the greatest achievements in environmentally friendly construction in the health industry. The article celebrates the 30 most environmentally friendly hospitals in the world. Each hospital was selected based on criteria including certifications from environmental bodies, recycling efforts, green construction and innovative energy saving features. 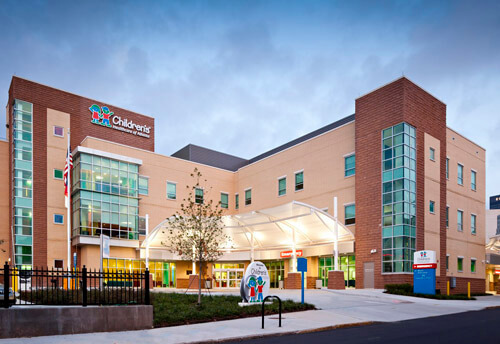 Congratulations to Children s Healthcare of Atlanta, Atlanta, Georgia, (Architect- Duckett Design Group) who ranked #24 on the list. Last quarter, an email was sent out to notify the student population that the old laminated Car Pool Passes were being phased out and replaced with a much better hanging pass. That notice also advised that the old passes would not be accepted after a certain time. That time has been set to be May 1, 2014. Students who had the old laminated passes were asked to stop by to update the forms and get the new improved hanger free of charge. After May 1, the old passes will not be allowed, and if a vehicle parks in a car pool space with one, it will be ticketed. Please avoid this by updating your pass to the new one. The new pass has been issued for the last several months. It is red with white lettering and was printed on a much sturdier plastic. If this is the current pass that you have, then you need not worry about updating your info. Also to help better control the car pool spaces, all the spaces were moved to the Upper F Lot by the shuttle stop near the Bell Tower. This change will actually increase the total number of available car pool spaces. All other spaces are being returned to normal use. This will allow Campus Safety to better monitor the area and to ensure that the spaces are being used for their intended purpose. There must be two or more people in the vehicle at the time the vehicle is parked in a car pool space, and the car pool hanger must be displayed. We hope that you appreciate these changes with the goal of making sure that every car pool space is being used for its intended use.